Tobii on the Future of Eye Tracking – "Where We're Going, We'll Need Eyes to See"
Revolutionary advancements in VR and AR eye tracking will have you cheering Tobii! Tobii! Tobii! 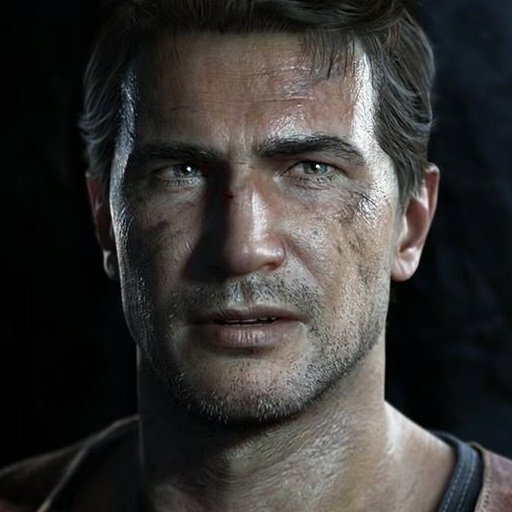 Over the last five years eye tracking has become increasingly well known to PC gamers, allowing players to do things like aim weapons or direct in-game cameras by simply looking in different directions instead of manipulating those tried and trusted analog sticks. Tobii is at the forefront of this impressive technology, with eye tracking devices that add new depth to some of the best video games available. In fact, Tobii revealed that well over 100 PC games work with its eye tracker, including such mega hits as Elite Dangerous and Assassins Creed: Origins. Adding new games to its growing catalogue, however, is only part of Tobii’s vision for the future. In addition to bringing support to video games, the company wants to ensure that eye tracking technology evolves over time so that people use it in new ways, specifically virtual reality and augmented reality. Tobii believes eye tracking technology will significantly improve virtual reality by increasing the capabilities of next generation devices, and by enhancing the experiences of their users. With that in mind, these are two of the most important ways that eye tracking technology will improve the next generation of VR and AR hardware—Inter Pupillary Distance (IPD for short) and Foveated Rendering. How will these technical sounding terms improve your VR experience? Let’s zoom in and take a closer look! IPD (the distance between your eyes), refers to the capability of eye tracking enhanced VR headsets to understand where your eyes are in relation to the device’s position. The headset will effectively align its orientation to your eyes, either by having you adjust settings on the device (until you are alerted that the calibration is correct) or by having you move the device on you face to correctly line-up with your eyes. If you’ve ever tested a VR headset, you may remember having to manually adjust your field of view prior to use. For new VR users and those with poor eyesight, gauging whether or not the headset is properly set up can feel almost impossible, as you’re forced to rely solely on what you’re able to see. I’ve experienced this inconvenience myself after standing in lengthy lines waiting to test out new VR games and tech at events like PAX East. There’s nothing more awkward than making it to the front of the line, only to fumble around trying to align my glasses with the VR headset. It’s so frustrating and embarrassing that I can “feel” impatient show goers staring at me, and most likely hoping I give up so that they can move up in line. Turns out, glasses aren’t the only pain point when it comes to VR. Contact lenses don’t offer much of an improvement either, especially for people like myself with astigmatism; this eye defect results in people seeing blurred images. The headset always manages to feel a bit off no matter how much I adjust it. 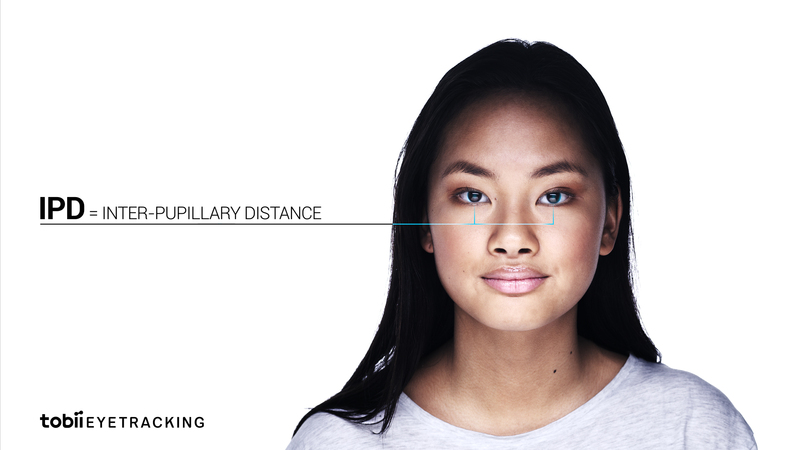 With IPD, Tobii removes all of the guesswork by perfectly lining everything up to your custom eye measurements. This means more time enjoying the world of virtual reality, and less time toying around with pesky dials. Once you’re able to say with confidence that your headset is on correctly thanks to the wonders of IPD, it’s time to soak in all of those gorgeous VR visuals. Eye tracking can also help developers offer the highest quality graphics possible through the implementation of Foveated Rendering. Foveated Rendering is a technique that takes advantage of how your eyes work. Your eyes only see a small area in the center of your gaze in sharp focus, while everything else in the peripheral remains blurry. Go ahead and test this out. Look around the room and pick out an object to focus on. While looking at this object, pay attention to the rest of the room in your peripheral vision. While it may seem like you are viewing the room in the same definition as the object directly in front of you, this isn’t the case. Our brains play a sort of magic trick by using the crystal-clear imagery in our focal point of view to flesh out the rest of room. Thanks to Tobii’s eye tracking technology, VR displays will soon be able to use this same technique, rendering only part of the image (at the center of your focus) in incredibly crisp detail. Because the technology is able to move the area of high detail faster than your eye can detect (to align with your shifting gaze), you experience the whole scene in high definition, despite the fact that the device is actually rendering less pixels. This means that developers will soon be able to offer VR games at much higher visual quality (4K resolutions and beyond) by limiting what the game renders in high definition to the area of focus you see in full detail. Consider how groundbreaking this will be, especially for first-person games. You’ll be able to explore distant worlds in perfect detail without having to worry about delay or lengthy loading times. There will be fewer technical hiccups that yank you from the experience, allowing you to indulge in the sort of escapism that only VR can provide. 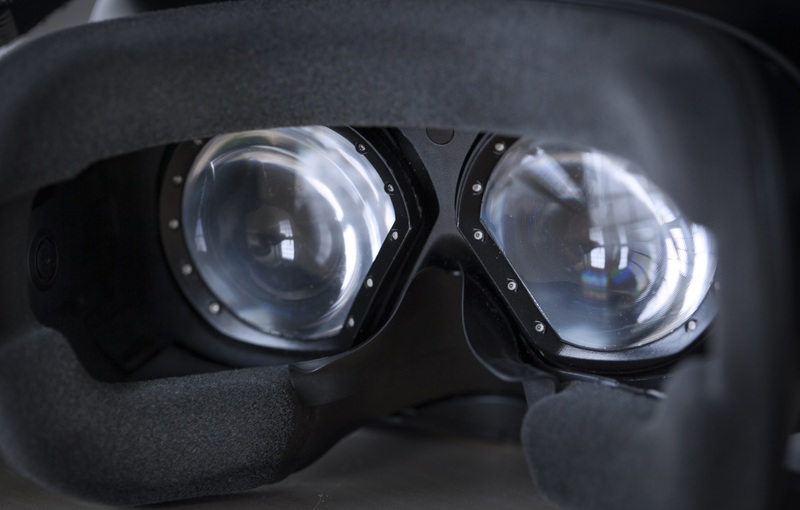 IPD and Foveated Rendering will undoubtedly help make VR headsets better. 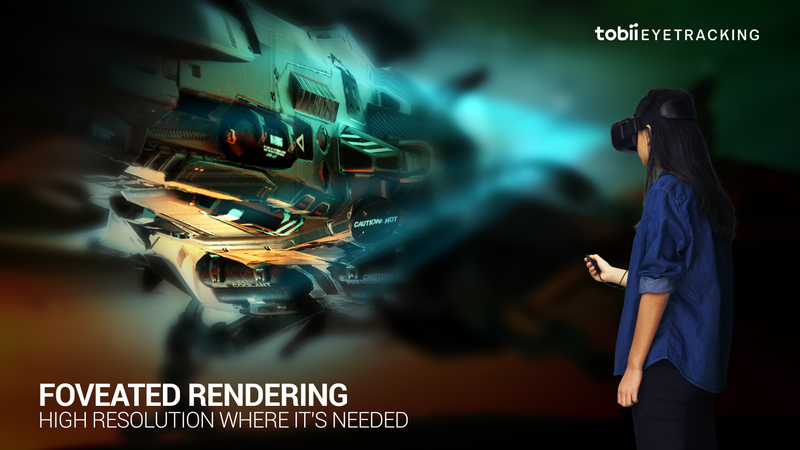 It’s like the age old saying, “work smarter, not harder.” By utilizing the incredible capabilities of our eyes, Tobii is able to push VR past its current limits. Although advancements with IPD and Foveated Rendering are still a ways away, eye tracking isn’t some futuristic concept you have to wait years to try out. It’s available right now for PCs and supported by over 100 games! Itching to learn more about how you can demo Tobii’s eye tracking for yourself? Be sure to check out the official Tobii website and follow the company for updates on all of the progress that’s being made in eye tracking.